Below is a first draft of the piece I'll be submitting in the next couple days. I've gotten to that point where I've written and rewritten my initial thoughts and I need to let it sit for a while, then come back to it. Hi! 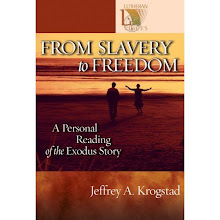 My name is Jeff Krogstad. Since last August, I’ve been on staff at The Open Door Christian Church, working as caretaker of our new Decision Hills campus and helping with the development of community life in this congregation. We toss that word “community” around like a beach ball without digging into what it means. In the New Testament, though, Jesus was very intentional about people sharing life together. In his excellent book The Triumph of Christianity, Rodney Stark argues that the formation of home-sized communities was key to the growth of the movement Jesus began. These knots of people sharing life together transformed their participants from consumer-driven “clients” of the pagan religions that dominated the Roman world to deeply committed “congregations.” These communities transformed their neighborhoods and eventually the world. Perhaps the opposite of “community” is loneliness, which seems to afflict us like a 21st century plague. We are more connected than ever before, and lonelier than ever. How is that possible? Truth is, so many of our connections don’t lead to true community where we are known and loved as we are, where our gifts find a voice, where we live in the life-giving relationships that were the cornerstone of Jesus’ ministry. In contrast to the New Testament’s description of community, our high-tech individualism might well be the death of us. As The Open Door Christian Church grows, we want to be intentional about creating community. In the next year we’ll be implementing “Life Groups” -- mid-sized groups that meet in homes and try in multiple ways to bring the New Testament’s description of community into 21st century homes and lives, to build relationships that are life-giving and reflect Jesus’ love. Where do you find community? Where are you deeply known, welcomed, loved? Who realistically recognizes the best and the worst of you, and still shares life with you? The New Testament is filled with this kind of community, of people bringing their real, messy lives into deep relationships rooted in the death and resurrection of Jesus. Such a shared life is still at the heart of Christianity today.